Sources for academic writing including dictionaries, grammar guides, and citation styles. Research questions guide the research process, but they don't work well in search systems in their sentence form. Instead, we use the main ideas from the research question to formulate keywords for searching. And sometimes, those keywords need to be adjusted to find more relevant sources. Synonyms, narrower related terms, and broader related terms can all be used to adjust searches. It's often helpful to brainstorm these related words and phrases before beginning your search, so that you immediately have other words to use. Here's a worksheet that may help you with this brainstorming process. Boolean operators define the relationship between search terms. AND searches for all of the search terms. The AND operator limits the search because the sources in the results must contain both terms. OR searches for either of the search terms. The OR operator expands the search because the sources in the results can contain either term. NOT excludes the search term immediately after the NOT operator. The NOT operator limits the search because the sources in the results cannot include the term following the word NOT. 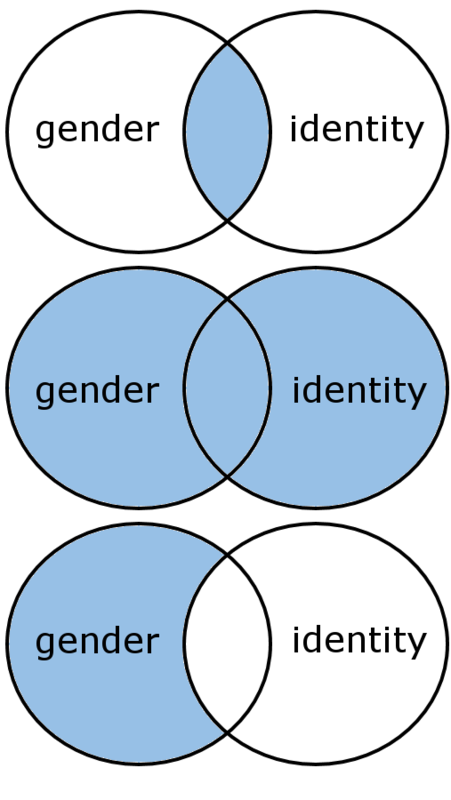 Here is a series of Venn diagrams to show you how the Boolean operators limit or expand searches. Terminology search strategies focus on the words that you use in your searches. These strategies are very precise. Keyword searching is a form of search strategy that most people know. When you type a word in a search box and click "Search" without adding any additional information, that's a keyword search. Phrase searching is similar to keyword searching, but instead of searching for one word, you're searching for a phrase. Phrases are surrounded by quotation marks to keep the words of the phrase together. Otherwise, the search interface will usually search for the words anywhere, not necessarily together. For example, searching for "influenza vaccine," including the quotation marks, will search for the phrase together, instead of the word influenza in one location and the word vaccine in a different location. Proximity searching locates words within a specific distance from each other. The number in the search phrase tells the search interface how many words away from each other the search terms can be. This allows a limited number of other words to be placed between the search terms, providing more possibilities for search retrieval within a limited scope. Near operators, usually using the letter N, search for words in any order. For example, a search for influenza N2 vaccine would find both influenza vaccine and vaccine for influenza. Within operators, usually using the letter W, search for words in the order you place them. For example: influenza W2 vaccine would find influenza vaccine but not vaccine for influenza. Here’s the order of terminology search types based on restrictions placed upon the search. Keyword searches = no restrictions. The database can search for the terms in any order and at any distance from each other. Proximity searches = some restrictions. The database can search for the terms either in any order (near) or in a specific order (within). The database is restricted to allowing a limited number of other words to appear between the search terms (the number in the proximity operator). Phrase searches = restricted. The database must search for the terms in the order provided with no other words being allowed to appear between the search terms that are placed in quotation marks. Wildcard searching replaces the wildcard character with any other character or characters, or sometimes no characters. Typical wildcard characters include the asterisk (*), pound sign or hashtag (#), or question mark (?). Some databases accept multiple wildcard characters. Others only accept one or two. Be sure to check the database's "Help" page to find out this information. For example, a search for wom*n finds woman, women, womyn, etc. However, it can also expand further; for example, col*r results in color and colour, but also collector, etc. Truncation searching is a specific type of wildcard search that replaces the wildcard character with any other character or series of characters at the end of the word. Truncation characters are almost always asterisks (*). For example, a search for manag* finds manage, manager, management, managing, etc. Note: Google uses the asterisk (*) as a wildcard for an entire word, not just letters. So, this strategy won't work quite the same way in Google. It can be a good option for locating half-remembered quotes, though! Field terms are words or phrases located in an item's record according to a specific type, or field. To search according to field term, select the field from the drop-down menu next to the search box. A keyword search looks for your search terms anywhere in an item's record. They could be in an author's name, a title, an abstract, or somewhere in the technical coding. Keyword searches are automatic in most search systems. If you don't see an option for "Keyword" in the drop-down menu, then the search interface will search by keyword in its default setting. An author search looks for your search terms ONLY in the author fields for an item's record. Sources have different types of author fields: main author, translator, editor, etc. This search will look in all of those fields. A title search looks for your search terms ONLY in the title fields for an item's record. Sources also have different types of title fields: main title, subtitle, series title, etc. This search will usually look in all of those fields. A subject search looks for your search terms ONLY in the subjects for an item's record. This usually means a search in the system's controlled vocabulary. (Controlled vocabularies are like specialized thesauri. Organizations agree to use one word or phrase to describe an idea. From there, indexers will associate the controlled vocabulary with sources. For example, instead of movie, film, video, motion picture, a catalog would only use the phrase motion picture to describe all of those things.) Because subject searches are more precise, they usually return more relevant results. A search in the ISSN/ISBN/OCLC field searches for specific numbers. An ISSN is an International Standard Serial Number, which is used to identify serial publications, such as journals or magazines. An ISBN is an International Standard Book Number, which is used to identify books. OCLC stands for Online Computer Library Center. The OCLC number is a specific number used to identify materials cataloged in the OCLC network of libraries. Many, but not all, items will have this number. These are the main field search limiters that will appear in most search systems. Many databases will have additional field terms, such as geographic locations or other numeric codes. Explore the drop-down menus to find out what’s available. Site extension limiters limit a search to a specified domain (or domains, if you limit to more than one). Because this search strategy is only limiting the domain result, it can only be used with web searches. There are a couple of different ways to limit to a site extension. site:.edu – This syntax looks for the information following site: in the actual domain. It doesn't look anywhere else in the URL. This is a more precise search. inurl:.edu – This syntax looks for the information following inurl: anywhere in the URL. This search is less precise because it will bring up third-party sites that simply locate information about sites. To apply more than one site extension limiter, add both the connecting Boolean operator OR and the limiter by hand in the search bar. The example above searches for policies related to diversity/inclusion from both .edu and .gov sites. For more information on conducting advanced searches while using OneSearch, additional tips can be found here.